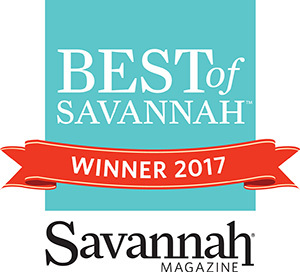 Voted "Best of Savannah 2017" by Savannah Magazine readers. Voted Runner-up "Best of Savannah 2016" by Savannah Magazine readers. Runner-up to a 65 year old, 9 store business. We are proud to have been voted one of the best three auto shops in the Savannah Area by the Three Best Rated® website! Many thanks to my employees who work hard to provide the level of service our customers demand, and to our great customers who provide feedback that make it all possible! At RPM Autoworx, they know that getting your car repaired can usually be a lengthy and otherwise unpleasant process. Rick Broussard believes that educating car owners on why repairs are needed fosters an indelible bond between the owner and mechanic. At RPM you not only get to watch as your car is repaired but you can relax in their luxurious and award-winning waiting area. With core values based on economics, ethics and environment, RPM strives to be the most cost effective to the customer, believes in a diverse and intelligent workforce, and dedicates its facility to eco-friendly strategies. 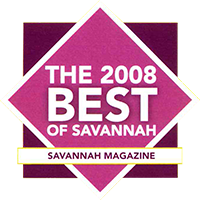 Voted "Best of Savannah 2008" by Savannah Magazine readers. In our first year of business, over a 9 store competitor who had won 12 years straight.